Deputies responded to a report of a disturbance. The reporting party told Deputies that a neighbor had chased after his son and was yelling at him. The neighbor accused the juvenile and his friends of making prank calls to his residence. On 6-21-11, a couple was asleep in their residence when an unknown person entered their house. They woke up and scared the unknown person, causing the unknown person to flee the residence. The unknown person did not remove anything from the residence. Deputies responded to a report of an assault. A boyfriend and girlfriend were involved in an altercation and the girlfriend grabbed a pair of scissors and stabbed the boyfriend twice in the right arm and once in the back. The male was transported to the hospital and the female was transported to the county jail. On 6/26/11 at approximately 0139 hours Deputies were dispatched to the area of West Point Avenue and Harvard Avenue in Princeton on a report of a man screaming for help. Upon arrival, deputies canvassed the area with negative results. One reporting party thought the screams were coming from a trail leading to the radio tower. While searching the area, Deputies could hear yelling off in the distance. After tracking the sound, Deputies located a subject yelling and stumbling along the trail. He had red watery eyes, a slurred speech, and was unsteady on his feet. He had an odor of an alcoholic beverage emitting from his person. They asked the subject how much he had been drinking. He replied more than normal. Deputies believed the subject was too intoxicated to care for himself. 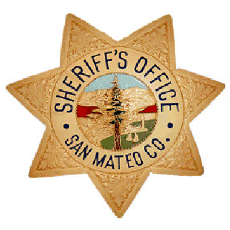 He was arrested and booked into the San Mateo County jail for violation 647(f) PC- Drunk in public.